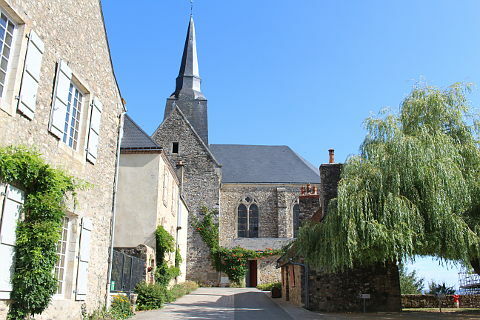 Sainte-Suzanne is a village in the south-east of the Mayenne department of France, and south-east of Evron. 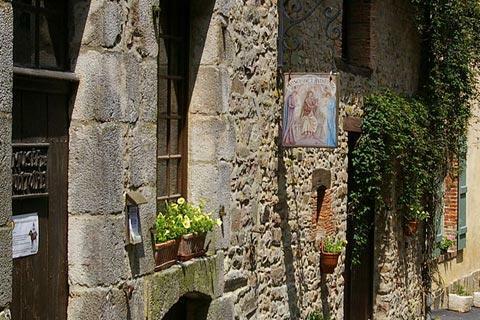 Classified as one of the 'most beautiful villages in France' and also as a 'city of character', Sainte-Suzanne is a small fortified town in a very picturesque location on a rocky outcrop above the river Erve. 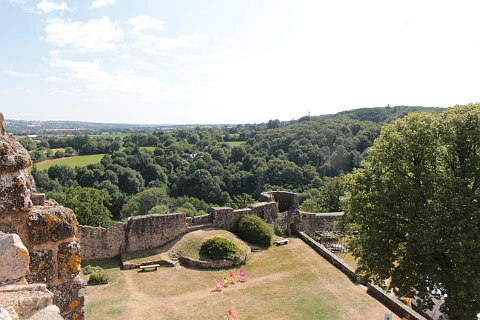 The castle and medieval village are largely surrounded by the original defensive ramparts, still almost intact. 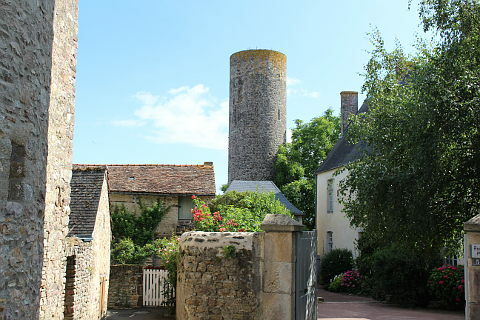 The main parts of the castle are the keep, from the 11th century, and the more recent living accommodation of the logis, dating from the 17th century, along with a medieval bakery. You can also see the drawbridge and some impressive carpentry work in the castle. 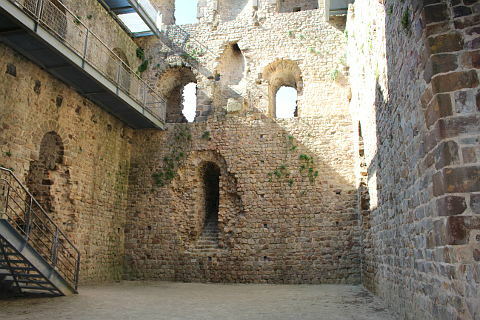 Metal steps and a walkway around the inside of the remains of the keep allow you to climb to the top of the walls and admire the views from here. Entry to the castle is free. When walking round the town don't miss the 'Porte de Trois Clefs', door of three keys. This triple lock is on the 18th century Salt Store and because of the value of salt in those days three magistrates each had a different key and to open the door each must open their lock! There is also a house with a very large window opposite the Musée de l'Auditoire. In the 17th and 18th centuries this was a factory making playing cards from paper produced in the paper mills. The large window let in light for the draughtsmen. 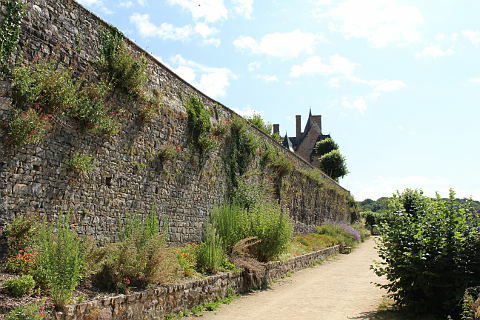 After exploring the ancient streets of Sainte-Suzanne you can follow the Promenade de la Poterne which follows outside the double defensive walls and offers some great views of the surrounding countryside. 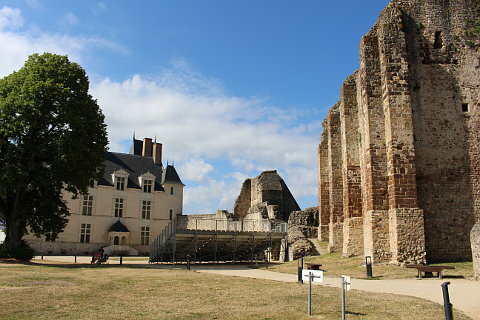 The Musée d'Auditoire is well worth a visit if you are interested in history and it focuses particularly on the Siege of Sainte Suzanne by the forces of William the Conqueror from 1083-1086. 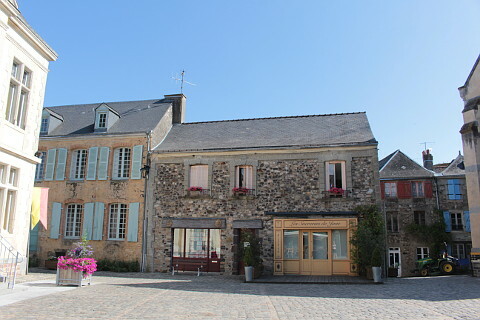 The museum contains a lot of information about Sainte Suzanne's past. You can also see the oldest body armour in France - it dates back to the early 15th century. The 17th century logis in the castle grounds is home to an exhibition of architecture and heritage and includes models and audio-visual displays. A good time to see Sainte Suzanne is during the fete medieval which occurs in August every other year (odd years). During this medieval festival many of the locals dress up in medieval costume and many medieval activities are demonstrated. 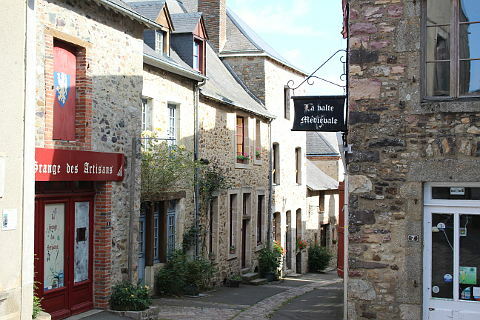 In the 15th century during the Hundred Years war between the French and the English, Sainte Suzanne fell and was occupied by the English for 14 years. 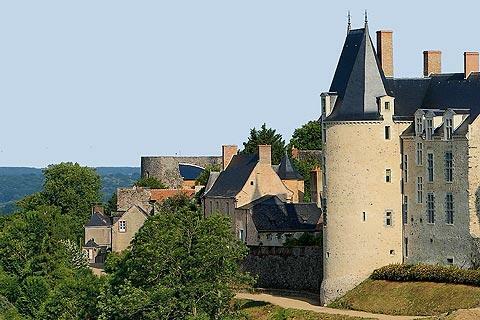 It was retaken by the French following the treachery of one of the English soldiers. Another wave of fighting followed in the 16th century with the Wars of Religion. During these periods of war the town's defences continued to be improved and strengthened. On the edge of town are the remains of the Norman camp made during the three year siege. This is called the 'Campe des Anglais' but there is not much to see other than a large flat field. Also nearby is the Dolmen des Erves which dates from the 4th or 5th century BC showing very early signs of human occupation in this area. 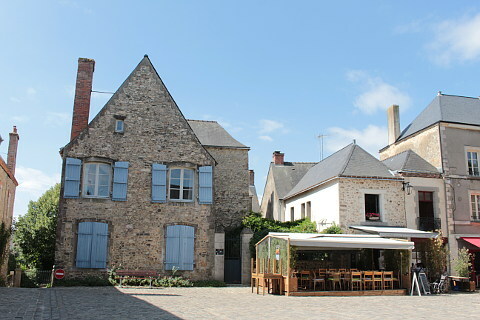 La Ferté Clairbois is a medieval centre with copies of a donjon, draw bridge, medieval garden and lots of activities showing the activities of a knight in medieval times - including jousting demonstations. From just across the valley, the views back across to Sainte-Suzanne are highly recommended: follow the path from the village to Tertre Ganne. A stroll along the river banks to see the watermills is also very pleasant. 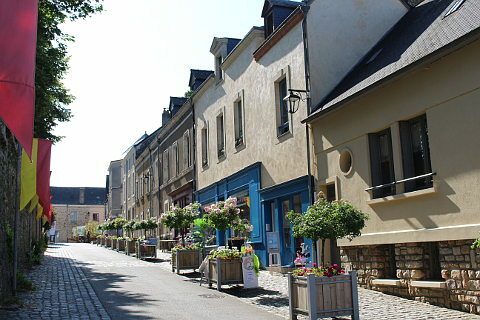 A little further, you will want to visit the historic centres of Laval and Mayenne but don't forget to also visit the medieval heart of Le Mans, one of our favourite in France.